Third Grade student with her mom and aunt. A visual storytelling class with parents and students of Escalante Elementary. Salt Lake City is home to vibrant immigrant and refugee populations, presenting opportunities in our neighborhoods and schools for diverse storytelling in a variety of forms. 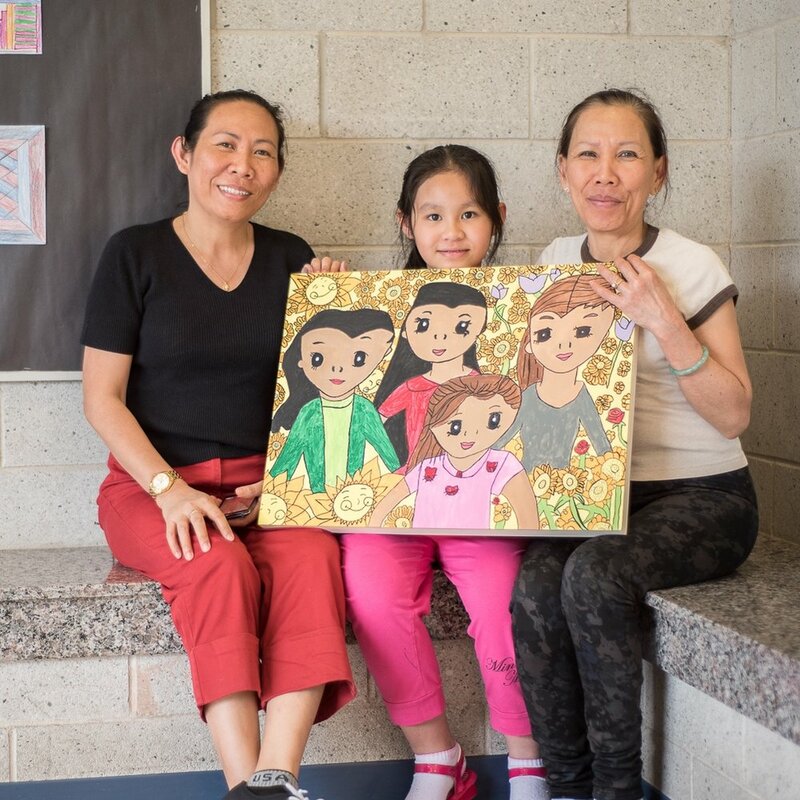 This multi-week course engaged parents to create art alongside their children to explore their personal family narratives around immigration and movement, and family and cultural traditions. The work from this program was on display at Art Access as part of their Dreamers program in Fall 2016. 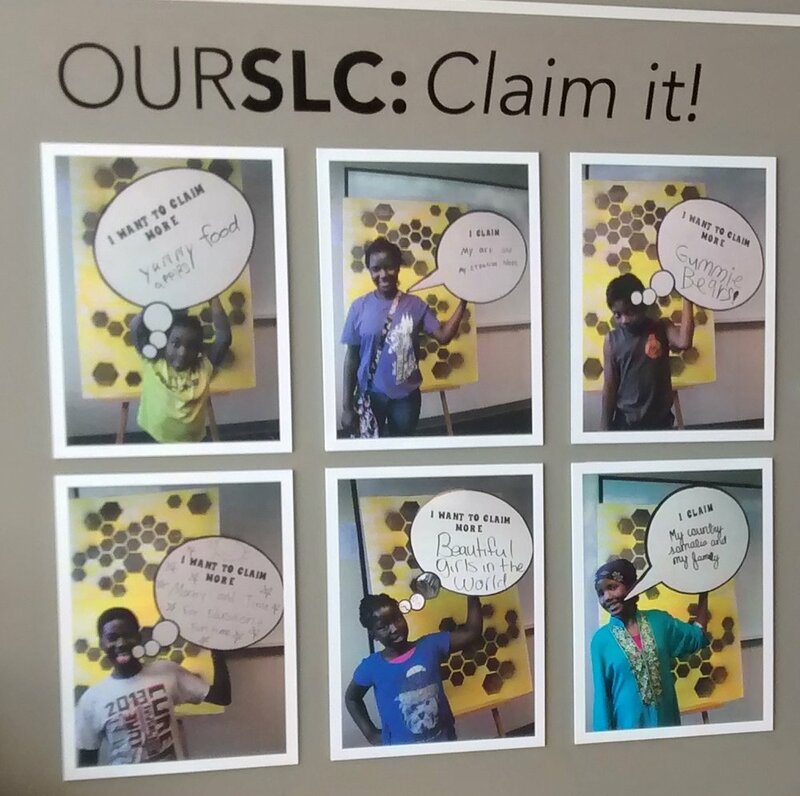 OurSLC: Claim it! was a multi-year civic arts project with the Sorenson Unity Center and Salt Lake City Corp. Working through a variety of civic engagement activities and programs, youth groups and neighborhood residents explored what it means to claim their neighborhood, its rich history, diverse cultures, and current vitality. Participants rendered this exploration visible through site-specific public art installations and through anon-going social practice in order to increase the community’s sense of connectivity and visibility. The Claim it! Film and Photography project was led by Megan Hallett and Kerri Hopkins, but was community generated. The Claim it! Filmproject was led by Megan Hallett and Kerri Hopkins, but was community generated.